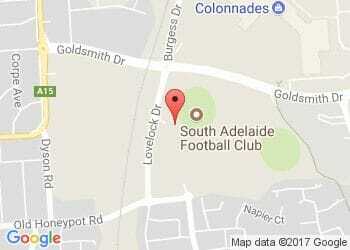 The South Adelaide Football Club is now taking applications for the new role of South Adelaide Football Club Women's Coach. The South Adelaide Football Club is excited to be a part of an expanded SANFL Statewide Super Women's League in 2018. The appointment of a Women's Coach is a key step in preparing for the Panthers entry into next season. South Adelaide is seeking a knowledgeable and enthusiastic Coach to help build a strong team, capitalise on the success of the Club's junior programs and the growth of female football in the Southern region. Please click here for a complete position description. Applications for the Women's Coaching position are to be made to SAFC CEO Neill Sharpe via email - nsharpe@safc.com.au - or mail to South Adelaide Football Club, 1 Lovelock Drive, Noarlunga Downs, SA 5168. Applications close Friday, August 4.